Carter’s first treasure was his beloved Blue Blanket. He took it everywhere and affectionately referred to it as, “Boo Blanky”. The term was such a staple in our home that by the time Izzy could speak she called her own purple blanket “Boo Blanky,” assuming that’s what blankets you loved and cherished were called. She has slept with it every night since as long as I can remember, taken it everywhere that has mattered and snuggled with it through all her darkest of times. Until now. Tomorrow we will arrive at Cincinnati Children’s Hospial at 6:30 am like we have so many times before. But this time Izzy will not be able to take Boo Blanky with her. Actually, she can take nothing into the room with her and anything the hospital gives her to keep her occupied must be destroyed. This time Daddy and I won’t be able to snuggle with her and this time even our time exposed to her will be limited. Tomorrow morning Izzy will have a line placed and in the afternoon Kendrick and I will go through a special type of hazard training. But the thing we will be taught to caution our exposure to isn’t any chemical or gas. It’s Izzy. All of this will prep us for a clinical trial we will begin on Tuesday — a treatment called MIBG Therapy. On Tuesday she will receive an infusion of radiation so potent that she, herself, will become radioactive. This radiation is somehow combined in a way I can’t begin to understand with MIBG, which clings to Neuroblastoma cells. After it clings to them our hope is that it kills them. She will be kept in a lead lined room, with lead shields around a bed that she cannot move from. Special devices inside the room will monitor the amount of radiation she is emitting and until that level is of the legal limit she will stay in bed. This can take anywhere from three to 14 days. During that time Kendrick and I will take 12 hour shifts as her caregivers. The hospital staff will be limited in the amount of time they can spend in the room so Kendirck and I will take care of most everything. Two weeks after this radiation is infused, Izzy will receive an infusion of her own stem cells that have been in a freezer for years. This is NOT a stem cell transplant, as there is no high dose chemotherapy being given. This means that Izzy should have few side effects during this treatment. The hardest piece of this treatment will not be the physical battle but the emotional battle she will endure. I will update daily on social media to let you know how she’s doing. I hate this, I really do. The past few weeks we have had hard questions in our home regarding this treatment and why it’s necessary. Hard questions that are too vulnerable and private for me to mention. They have been sacred conversations within our family. They have been hard and they have been heartbreaking. Through all the mental anguish I feel building, I keep coming back to this one question: Why did we choose Cincinnati Children’s Hospital for her care? The truth is, we chose it for one reason: MIBG Therapy. In summer of 2012 when we were beginning aggressive treatment we first researched our options. We eventually found a NB expert in Cincinnati who was offering a clinical trial. It was the exact same protocol she could receive anywhere else with the exception of this MIBG Therapy that was being given in the middle of it all. A few months after we began treatment, however, the trial got pulled. MIBG Therapy has still been happening for patients with multiple relapses but our case has never been severe enough to require it…until now. So here we are. Back facing the treatment we first came for six years ago. I don’t know what I believe about a lot of things but I know I don’t believe in coincidences. I have to wonder if this is the treatment we have needed all along. Have to hope that this could bring the freedom for Izzy we have been waiting for. Tomorrow, when my mind is going crazy and my heart is breaking, I will remind myself that this is what we first came for. And I will remind myself that maybe, just maybe, her healing will come through this treatment once and for all. Please join me in praying that for her body. And pray peace for her sweet spirit as she endures this time without her beloved blanket. We are praying and will be waiting to hear the progress, holding hope that this is it. Praying for all of the family. Life for Izzy. As a mother who is going through issues with an adult child, I can share in your suffering, a little, in the fact that healing for both of our children is out of our hands. I will be praying for this wonderful treatment to do it’s job, restore full life to Izzy, and in the waiting, for peace that makes no sense, from Him. You don’t know us, but we have been following your story. A very dear friend of ours, is friends with your grandpa. We are lifting you and your family in to our healing God. We are praying for strength, peace, patience, and discipline. We are praying for God to show off with Izzy and let her broken body be renewed and restored. God is able! Will continue to pray for all of you until this is all over. Much love to you all. God is in control. Can’t imagine what this is like for all of you. Many blessings for you all. Praying for your precious family and especially Izzy! Continuing prayers for Izzy and your family. This will be hard, but what a blessing it will be when she is cancer free! Positive thoughts coming. We will be praying for this treatment to bring healing to precious Izzy. We will be praying for you and Kendrick as you take care of Izzy during this treatment. We will pray for Izzy to have peace & comfort during this. And for big brother Carter, as well. You all are loved and cared about more than you can imagine, and most of all, you all are loved by The LORD. God Bless Izzy, her family, the doctors, nurses, and all treating her. Keep her safe and comfortable. Peace to all who know her. My friends’ son was diagnosed the day before that study closed. He was never able to get MIBG before passing away. His parents always felt that it would have made the difference in his outcome. Many people dont understand that Cincinnati had a neurblastoma expert and that makes such a tremendous difference. Anyway, I am so thankful that Izzy will receive this treatment. I hope she passes the radiation quickly and you will be able to give her hugs and kisses as soon as possible. 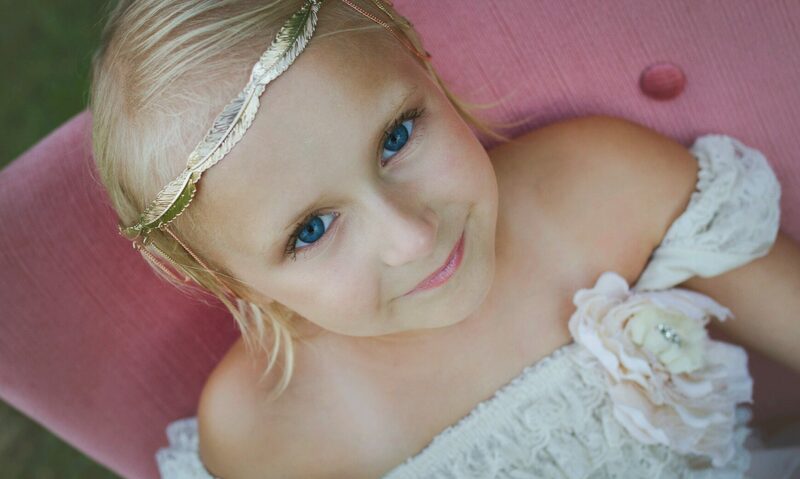 Sending heartfelt healing prayers to Izzy and her loving family. Praying hard! I know He hears our prayers for your sweet girl. She is covered. Thank you Jesus! In Jesus name, I speak healing to all parts o Izzy’s body. I pray that everything come into alignment as you created her. Lord cover Izzy and her family with an extra amount of peace and love. God is still the Great Healer! I am praying for Izzy’s healing and that Gentle Jesus be with the whole family to give you peace. I pray that Jesus wraps his arms around Izzy and she will cling to Him instead of her blanket . May God bless all of you with peace and comfort. I have been praying for Izzy and your family for the past several weeks since I heard of your story from a friend. I cannot even begin to imagine what you are going through as a mother or what Izzy is going through as a little girl. I have been praying for God’s complete healing for her, giving her a testimony of His healing to share with others for many years. I’m praying for peace for you that blows you away and cannot be understood. I’m praying against fear for Izzy as she’s in a new situation without her blanket, and that she’ll feel God’s presence in a very real way. My heart goes out to IZZY, YOU, KENDRICK, and CARTER. My prayers will be with all of you tomorrow and throughout the treatment. I pray that God will hold you close and keep you safe. I hope that the treatment will bring about a long lasting end to the cancer. Love and hugs to all of you. Praying Molly!! Specifically asking that it will take only the 3 days. Asking Him to pour out incredible supernatural strength and peace on each one of you. That Izzy would feel the presence of her God with her more than she ever has before. That He would so meet her at every second of need she has. That the sweet comfort of boo blanket wouldn’t even compare to the comfort she gets from Jesus. Come Jesus!